Jared Kushner, President Donald Trump’s Middle East adviser, is close to Saudi Arabia’s millennial crown prince, Mohammed bin Salman, and is said to have talked to him on WhatsApp. Kushner has not taken a public role in the US response to the disappearance and suspected murder of the Saudi journalist Jamal Khashoggi, which has been tied to Saudi Arabia. According to The New York Times, Kushner has been privately urging Trump to stand by Saudi Arabia, asserting that the episode will blow over in time. Jared Kushner is reportedly urging President Donald Trump to stand by Saudi Crown Prince Mohammed bin Salman amid the disappearance of the Saudi journalist Jamal Khashoggi, as Kushner thinks the de facto leader of Saudi Arabia will survive the global outrage over the crisis. Khashoggi, a US-based Washington Post columnist, disappeared after entering the Saudi Consulate in Istanbul on October 2. Turkish officials have leaked gruesome details to US and Turkish pro-government media over the past two weeks of what they say is Khashoggi’s killing. Kushner, the president’s son-in-law and adviser on Middle East affairs, has argued that Crown Prince Mohammed can weather the storm of outrage over the Khashoggi crisis, The New York Times reported on Thursday. The newspaper cited a source close to the White House and a former official with knowledge of the discussions. Kushner argued that Crown Prince Mohammed had survived criticism of the Gulf kingdom in the past and could do so again, The Times said. 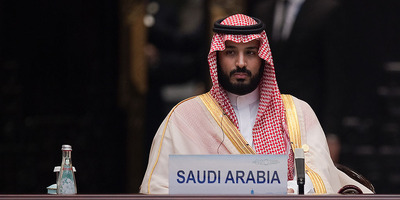 Nicolas Asfouri – Pool/Getty ImagesSaudi officials appear to want to distance Prince Mohammed from the suspected murder of Khashoggi. The report also suggested that the Saudis could blame Gen. Ahmed al-Assiri, a top intelligence official with close ties to the crown prince, for Khashoggi’s disappearance and alleged murder. That account squares with other reports that Riyadh plans to acknowledge that Khashoggi was killed by Saudi agents but will scapegoat an official as acting beyond his authority. 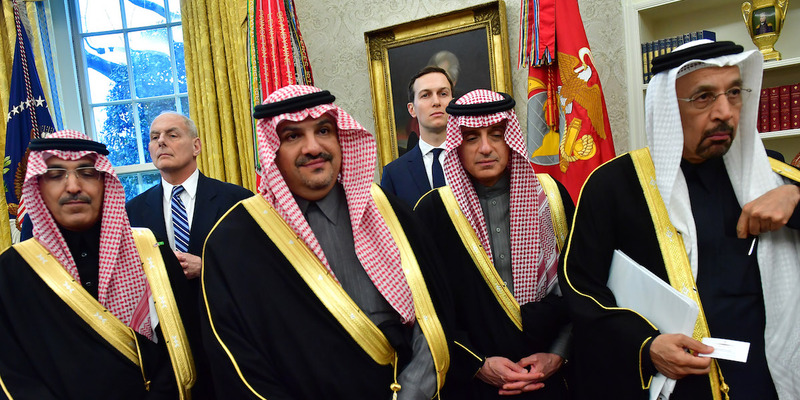 Kevin Dietsch-Pool/GettyThe White House chief of staff, John Kelly, and Kushner behind members of the Saudi delegation during Prince Mohammed’s visit to Washington in March. Kushner has taken a back seat to US discussions over Khashoggi, reportedly because of his close relationship with the 33-year-old Crown Prince Mohammed. Senior White House officials fear that Kushner’s public involvement would prompt further backlash over the US response to the Khashoggi crisis, CNN reported. Kushner has communicated with Crown Prince Mohammed over the encrypted messaging service WhatsApp in the past and provided readouts of the conversations to Trump’s team, CNN added. Earlier this week a Secret Service agent physically prevented the CBS correspondent Errol Barnett from asking Kushner about the Khashoggi investigation. “I don’t give a damn who you work for,” the agent said, according to a video Barnett posted of the incident, adding that there was a “time and place” for such questions. Trump’s response to the Khashoggi crisis has been lukewarm. The president, who often touts the billions of dollars’ worth of US arms deals with Riyadh, has been wary of implicating the Saudi leadership in Khashoggi’s disappearance. 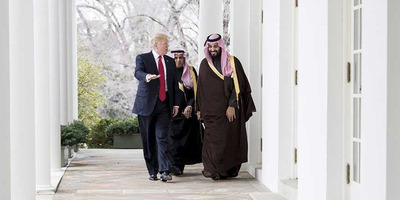 He has repeatedly said he will not halt arms sales to Riyadh over the Khashoggi case. Getty ImagesTrump and Prince Mohammed at the White House in March. Trump has repeatedly touted US arms sales to Saudi Arabia. Saudi Arabia has long weathered negative press reports over its human-rights record, which have continued after Mohammed bin Salman was named crown prince in June 2017 and effectively handed control of the Gulf kingdom. In November the kingdom detained more than 200 members of its elite, including 11 princes, in the luxurious Ritz-Carlton hotel in Riyadh for two months as part of a purported anti-corruption purge. Crown Prince Mohammed was widely seen as the mastermind behind the purge as he consolidated his power. Around the same time, the kingdom also detained Lebanese Prime Minister Saad al-Hariri for about three weeks in Saudi Arabia, during which time Hariri abruptly announced his resignation. Hariri later returned to Lebanon, after an intervention from France, and declared that he had suspended his resignation. It also continues to wage a bloody war in Yemen, which has according to some calculations caused 50,000 deaths.